A friend recently said to me ‘Katie, in your house every day is Halloween.’ She wasn’t wrong! 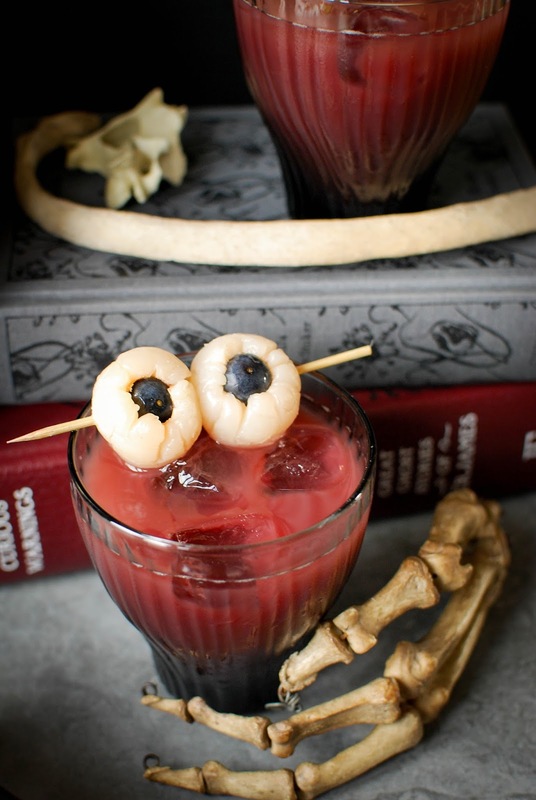 We’re big fans of October 31st in this household and this year we’ll be handing out candy, watching my favourite psychopath stalk his innocent camp counsellors and sipping on these bloody halloween cocktails. It’ll be a graveyard smash! A delicious mix of vodka, chamboard and pomegranate juice these babies will have you in the Halloween spirit in no time. You’ll be itching to get out and party with those skeletons. 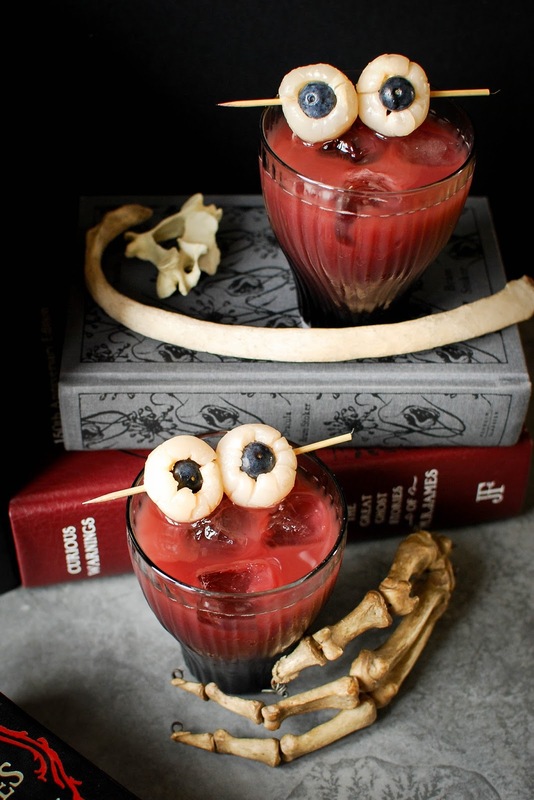 These bloody halloween cocktails are as spooky as they are delicious. To make the eyeballs simply pop a blueberry into the hollow of a tinned lychee and skewer two eyeballs onto a cocktail stick. In a cocktail shaker filled with ice, shake together the vodka, Chamboard and pomegranate juice. and garnish with your gruesome eyeballs. Enjoy. These look so cool! 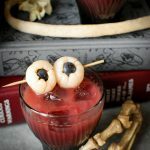 If I hadn't have sickened myself on Halloween cocktails after 'zombie' night, I would be making them pronto.